Christian, Agent Starling and Captain EO are in studio, joined via FaceTime by the one and only Coltrane, to get an update on "90 Day Fiance", talk a little about the competing Fyre Festival documentaries on Hulu and Netflix, break down the end of the government shutdown, the fast food served to the Clemson football team, fake news, Buzzfeed, the NFL officiating in the NFC championship game, the greatness of Tom Brady, Mariano Rivera, and introducing hard-core LA Rams fan Will Sterling! 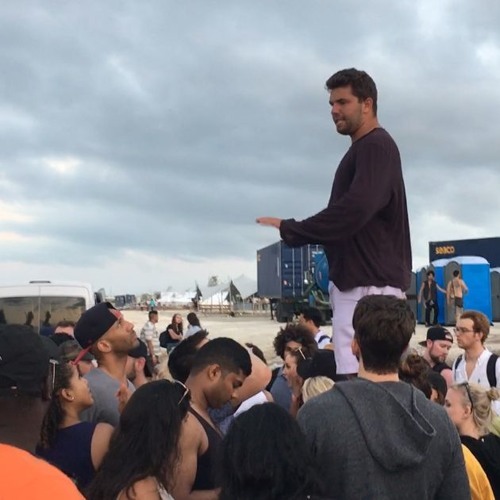 Download Bladtcast #311 - "Fyre, Ice, Goats, Rams, Shutdowns and More!" Users who like Bladtcast #311 - "Fyre, Ice, Goats, Rams, Shutdowns and More!" Users who reposted Bladtcast #311 - "Fyre, Ice, Goats, Rams, Shutdowns and More!" Playlists containing Bladtcast #311 - "Fyre, Ice, Goats, Rams, Shutdowns and More!" More tracks like Bladtcast #311 - "Fyre, Ice, Goats, Rams, Shutdowns and More!"